BLURB – Rajat, Meenakshi, Sadaaf, Amol, and Shanaya are five University students with nothing in common- who should never have met in the first place. They meet after winning a lucky draw- the prize of which was to take part in a puzzle game. Though the game was engrossing, they were unable to solve the puzzle in the stipulated time. However, this lead to the beginning of a deep friendship between them. Their friendship blossomed. But ego and misunderstanding led to an acrimonious break up. They meet again- two decades later- when Shanaya is murdered, and the other four are suspects. The four soon realize that in spite of being estranged for so many years, there were unknown ties that bound them- ties of treachery, deceit, and subterfuge. Ties that have led them to come together in circumstances that no one could have foreseen. And the game that they had left incomplete two decades back has to be played yet again – on a much bigger canvas. Now they have to trust each other, clear their names, and get to the bottom of the mystery, which threatens not only their lives and relationships, but also the fabric of democratic India. As their travels and travails continue, they discover hitherto unknown facets of the people around them, as well as their own selves. Can they succeed in resolving the puzzle this time? Or is history doomed to repeat itself? As hidden aspects of the human personality are revealed, they realize that no one is what he or she appears to be. For the world comprises of ‘Strangers With Known Faces’. TITLE – As the title says ‘stranger with known faces’ it depicts the truth of people, how we are two different personalities of what we show and what we are in reality. It matches the plot and the book. COVER – The cover looks okay, could have been better, but nevertheless it suits the story and imagery the author wants to showcase. NARRATION – Imagery and lucid language is used to reach out to more and more readers. THEME – Thriller, Crime, Human psychology, Inner Turmoil. CHARACTERIZATION – Each character has a defined and subtle role, which slowly reveals about each and every character slowly and steadily. Complexity increases of the story and more turn of events keep happening, which keeps the reader hooked. ABOUT THE BOOK – Curiosity keeps the reader engaged. A different story. END OF THE STORY – It could have been better. 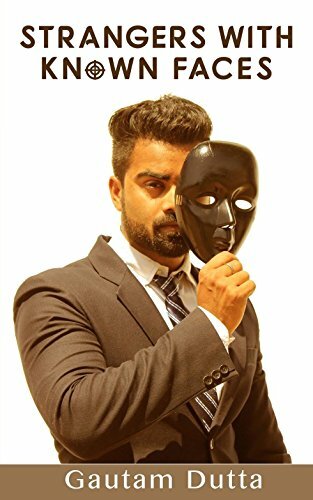 This is the story of Jonathan, a young boy from Mumbai who bids farewell to his corporate job and comforting lifestyle in order to complete his father’s death wish. His surprising encounters with people from different walks of life helps him to change his view point about life and adore the bad phase as one essential element in life. 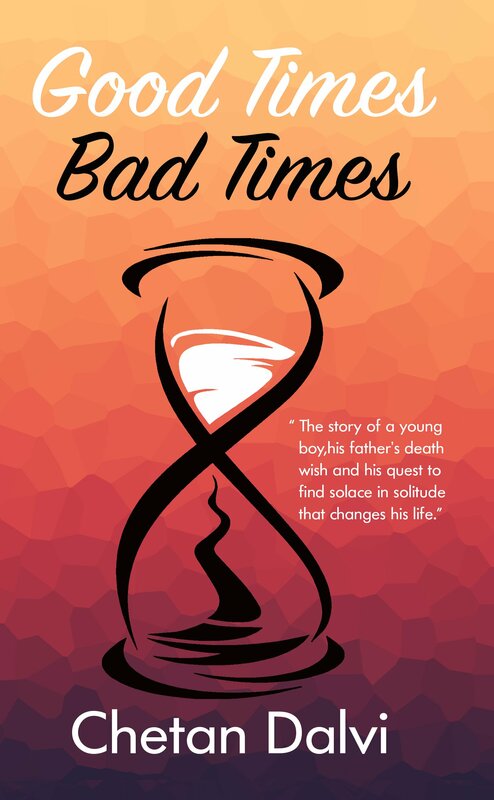 The Good Times, Bad Times is a novel about the significant wisdom of living life to the fullest and, above all, rising above ones fear by facing them. title – it says alot about the book and life in general too, how to endure about in these times and look forward in life. Blurb – it gives away a bit of the plot, but most of the important twists take place and will keep you hooked to the book. cover – it is subtle and hopeful. about the book – just the kind of book, i needed to read right now to get much more stronger. it happens so many times that all that we need is right in front of us, but we do not pay heed to it, untill it is gone.This book is a sweet revelation of human emotions and life struggles moving in the story plot from mumbai- goa. narration is very lucid and the story moves along with you. it is a medium paced and very beautifully unfolding book. showing inner mess of a person, miracles and important life lesson are also present in the book. it is a refreshing book with so much truth of lifeto be learned and no matter how chaotic life is, it all settles down slowly and steadily. lot of the matter will relate to most of the readers. definitely engaging and something new then the usual. They say your acts resemble the machinations of your thoughts. But the great question is: Are your thoughts, your feelings really yours? The financial capital of the world, New York, is terror-stricken. Death is crawling forth from the sewers, every full moon nights. On each occasion, an Indian is found involved and the diplomatic relations between the two countries are at breaking point. NYP detective John is continuously failing to track down the true perpetrators behind these incidents. The situation worsens when John’s case causes a threat to his love, Disha, a neurologist. Alongside, her security becomes his priority. When Disha learns that it’s not just her life at stake and her own past has united with the present in the cabal to ruin the future of many lives, she secretly sets out to uncover the mystery. Will Disha and John succeed in their journeys? Or will end up losing everything including their love? And above all, will the secret of moon ultimately be revealed? Starting of with the cover – it does not quite looks appealing but could have been made better, but the blurb it quite interesting and so is the book – setting in sci- fi thrill, romance and mystery that is folding in. the story is interesting and keeps you hooked till the end, the narration is beautiful. characters have their well defined role and the good thing is there is no messing up of any events- alot of effort is taken into that – it can be observed very well. The imagery formed is beautiful too. easy and lucid language is chosen . 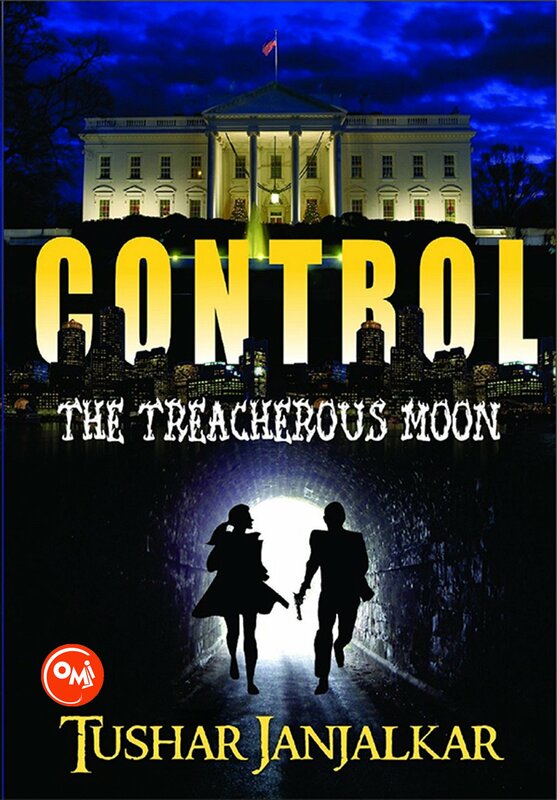 the story is set in u.s and India – so it keeps falling in from here to there. alot of immense research has been done- hinglish is also used in the book. what if a machine that regulates our thoughts has been stolen and is killing up all the important scientists slowly and steadily – john and alex are good friends, john somehow falls for dr. disha who is a neurologist , their love takes off to new heights somehow john also starts to feel disha is hiding something from john. will the killings stop? will everything be okay again? read the book to know more. i recommend this book to all sci-fi readers. go for it! the book is brilliant, the downsets of the book were- the cover and font which may let you take alot more time to read the book. 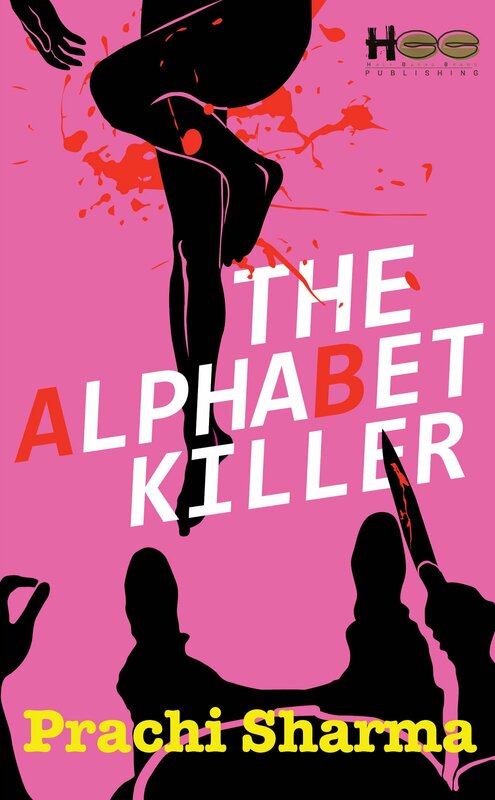 TITLE – it is based on the killers initials and really goes along by the story. COVER – it is really colourful, catchy along with the title. Themes covered – sadist, revenge, personal history, and psychological thriller. Will I read the next book by the author? Yes. Narration – it is an easy flowing book, with beautiful vocabulary easy to read, keeping the readers hooked to the book. Further aggravating her pain. Will the case solve? Or just keep turmoiling her life? read the book to know more. The characters are less and have their definite roles, hence not confusing you at all. The dialogues and story is mulitiplotted giving you goosebumps. The ending could have been a bit better, but is definitely a great book for crime fiction. 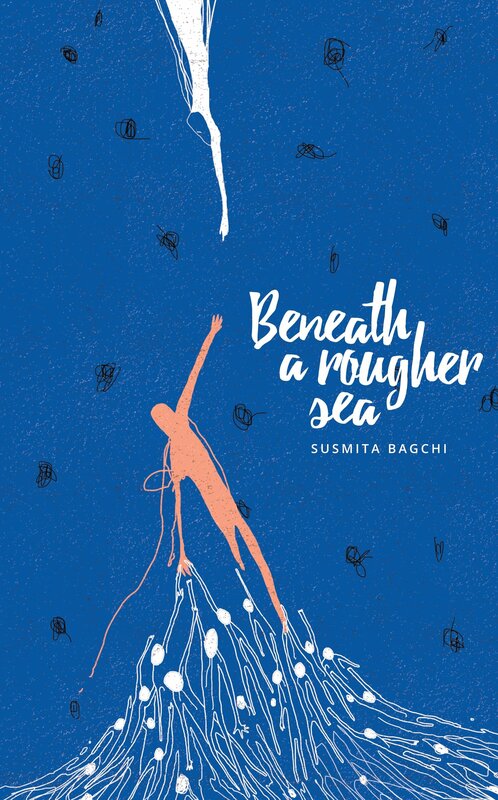 Susmita Bagchi has published eight novels, seven short-story collections and a travelogue, all in Odia. Her work has been translated into English, Hindi, Marathi, Telugu, Kannada and Malayalam. Among her many awards are the Odisha Sahitya Akademi award and the Utkal Samman. She lives in Bangalore with her husband Subroto. They have two daughters, Neha and Niti. Title – It is indeed a very deep title, diving into troubles in life or beneath our skin what goes in and out. Cover – the cover id absolutely lovely, meaningful and related to the title. Blue depicting the calm and the blues. How after the dark there is dawn, after chaos there is calm. Theme – psychological, love, friendship, turmoil. Narrative – easy flowing, addictive and interesting. Vocabulary – medical terms are used and are well defined. Easy to read. Will I read authors next book- this being her book, which is her first in english. I will surely read. About the book – it is a story of a dr how he manages to break his heart and also makes his decision to heal people early in his teenage years. He sees various patients with various psychological problems and heals them and helps. But life always has to snap back with a curveball, a little descend comes into his life. And he gets back up only stronger. Though his failures or downfalls were not much focused upon, everything else was beautifully put up. An amazing book to dig in during journeys or anytime why not!! Recommended – it has a different outlook and a totally different story other than the typical love stories. I say go for it! Don’t miss on this gem. Kudos to the publishers I really liked the typeset of this book. Nicely spaced.